The company "Friedrich Richter Messwerkzeuge" was founded in 1920 by the grandfather of the present owner in Eger. The young enterprise could well develop in the beginning. Already in the twenties and thirties there were made exports within Europe and overseas. Nevertheless, during the Second World War this positive development was interrupted and the company closed. The restart of the family enterprise after the war began at first in different rented rooms around Speichersdorf. 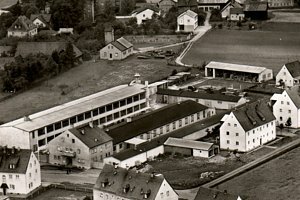 Between 1949 and 1953 then the current head office was built in the center of Speichersdorf. Up to this day, the production takes place solely at this location. An efficient sales organization in the home country was quickly developed, too, and already in the beginning of the fifties exports could be made again in different countries. Still today the enterprise is family-owned. Richter products enjoy not only in Germany but all over the world an excellent reputation as quality products. The export in more than 40 countries of the world is a proof for this. Who wants to measure today, must be able to count on the exactness of his measuring instrument. This premise is most important for Richter tools. Some machines are of own development and assure that all measures are correct at any time. Part of the philosophy is also a clear focusing to the client. On demand, the measuring tools are custom-made and adapted to the individual wishes - in shape and color, as well as in functionality. The whole Richter team with its long term experience and knowledge always tries to fulfill the customers demand and to find a solution. In the more than 90-year-old company history many innovations were created to make the production of measuring tools easier and to assure exact measuring results. Only a few machines are ready made, many are in-house developments which are only found at Richter. 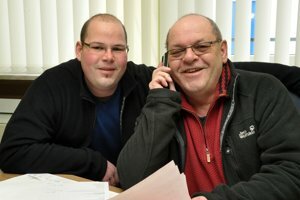 Thereby the company owner, Friedrich Richter, always pays attention that the machinery is up-to-date. Existing machines are developed further, new technology integrated. These efforts make a contribution that well-known companies trust in our products all over the world.